My name is Danielle Bryant (Dani) and I am a Holistic Therapist, Yoga Teacher, Reiki Master/Teacher and Author based near Caerphilly in South Wales. I am also co-founder and director of Shop Holistic Ltd (hence my nickname “Holistic Dani”). 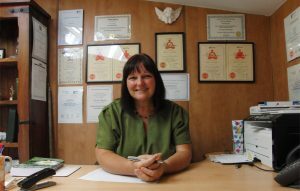 I am qualified in Kinesiology, Nutritional Therapy (including a specialist diploma in Nutrition for Cancer Protection and Longevity), Reflexology and Homeopathy, and I also have a diploma in Holistic Diagnosis Skills. I specialise in Body Detox and Natural Health. I am currently a student of Massage and Advanced Aromatherapy. As well as an author, I am a health freedom and truth activist. I feel passionate about people’s freedom of choice especially when it comes to their health and rights. On my other website, daniellebryant.co.uk you will find many articles I have written, some of which have been published in the international health magazine “Health Freedom News”. 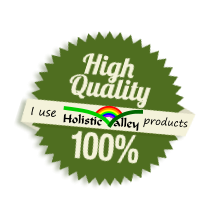 I only use top quality, trusted products, organic as much as possible. Most of the lotions and oils I use are hand-made by myself and they are all SLS, SLES & Paraben free. Additionally, I will never use products that are tested on animals! Thank you for visiting my website. I hope you enjoy browsing!